I have to imagine that popular bluegrass duo Dailey & Vincent—chronic winners of awards from the International Bluegrass Music Association since they emerged a few years ago, after spending years in the bands of Doyle Lawson, Ricky Skaggs, and others—will salute banjo giant Earl Scruggs, who died yesterday at 88 in Nashville, when they perform at the James Lumber Center in suburban Grayslake on Friday night. Few did more to shape any genre than Scruggs did to shape bluegrass. While working in Bill Monroe's Blues Grass Boys he single-handedly transformed his instrument's role from strictly rhythmic to melodic, using three fingers—each fitted with a pick—to sculpt tunes from a hail of high-velocity arpeggios. Neither guitarist Jamie Dailey nor bassist Darrin Vincent plays the banjo, but it features prominently on their recordings, which mix old-school bluegrass themes and arrangements with sweet, polished singing. 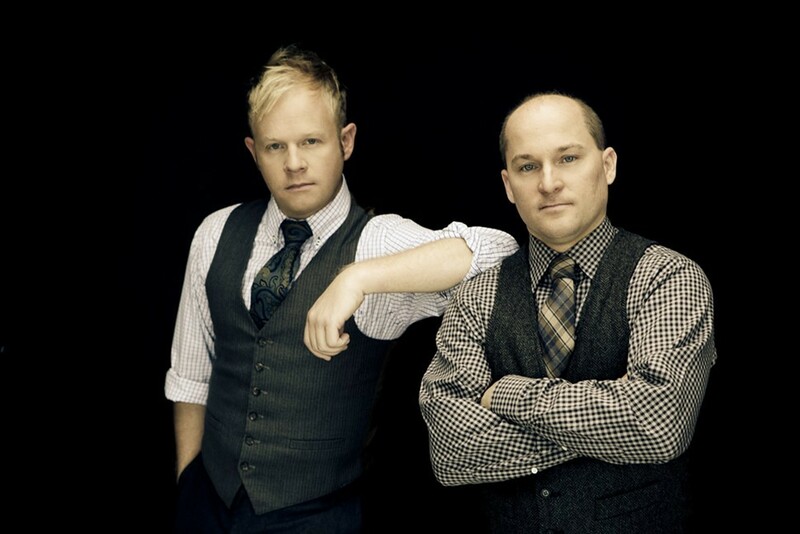 As is common for bluegrass groups, gospel has been part of the duo's repertoire from the start, but for their latest album they embrace it from start to finish. The Gospel Side of Dailey & Vincent (Rounder) tosses in some nice slices of honky-tonk—"Eternal Vacation" by Buck Owens and "Family Bible" by Willie Nelson—but there's also a lot of treacle and hokum. The ballad "Peace That Covers All the Pain" is full of overcooked string arrangements and vocal harmonies as squeaky clean as a barbershop quartet, and "Noah Found Grace in the Eyes of the Lord" is so cartoonish it makes Hee Haw seem sophisticated—its baritone vocal parts make me think of Harry Shearer singing "Eat at Joe's" in A Mighty Wind. Luckily, onstage these guys won't be able to duplicate the album's many overdubs or the contributions of studio and guest musicians, which are usually what derail the songs. The new record was coreleased with the Cracker Barrel—yes, "the Old Country store"—which has gotten into the country-music biz in recent years, putting out material from the likes of Mandy Barnett, Randy Travis, and the Oak Ridge Boys. To promote Friday's show and the new album, Dailey & Vincent will be making an afternoon stop at the Cracker Barrel location in Gurnee (706 Northridge Drive) from noon to 1 PM to sign autographs. Below you can check out a track from the duo's previous album, 2009's Brothers From Different Mothers. Dailey & Vincent, "On the Other Side"